Each country has its own Christmas traditions. 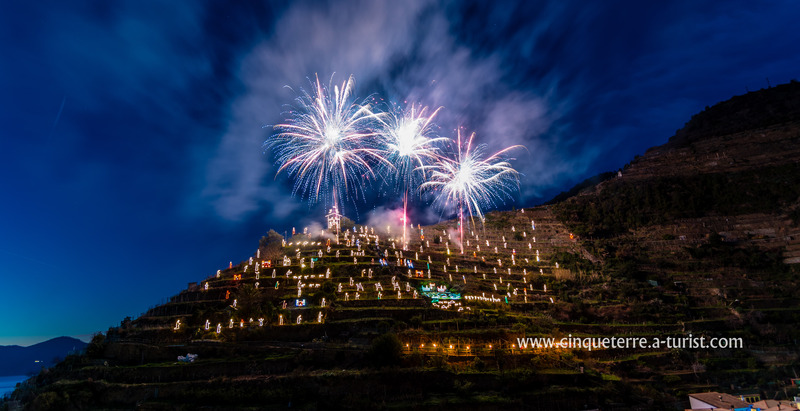 In Italy - at home, on the streets, in shops, generally anywhere - apart from the usual Christmas tree, Christmas nativity scenes takes hold, they are called here Presepe. 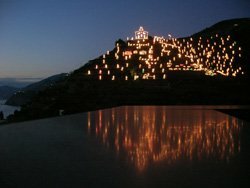 So, you can find the biggest Presepe in the World in Manarola! The opening ceremony starts on the 8th of December. 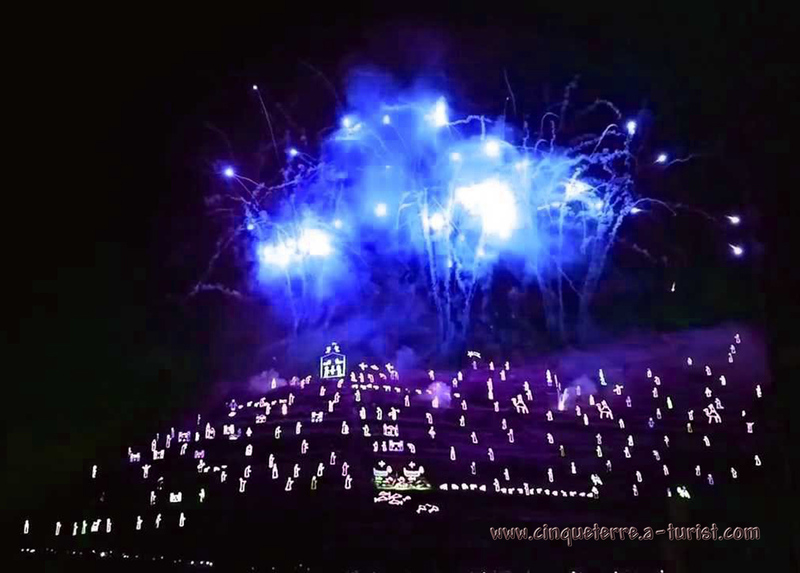 This year won`t be exception - at about 17.30, December 8, 2019 Presepe will once again delight tourists who will arrive from all over the world to admire this beauty. It will continue until the end of January or early February 2020 (dates not yet set, in 2019 it was 2.02.2019). Do not miss it out! Those who had seen it, they were fascinated by its beauty. However, if you want to visit Cinque Terre for Christmas, so we advise you to book a hotel anticipatorily. 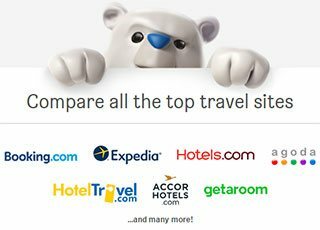 On this site you can find two widgets of the two European best sites with the cheapest offers and discounts that you will surely enjoy. Presepe was designed and built by Mr. Mario Andreoli, who worked on the railway in the past and now he is in retirement at the moment. Since 1976 he has devoted his life to the realization of this unique project, and after 30 years, he finally managed to cover the entire hill. 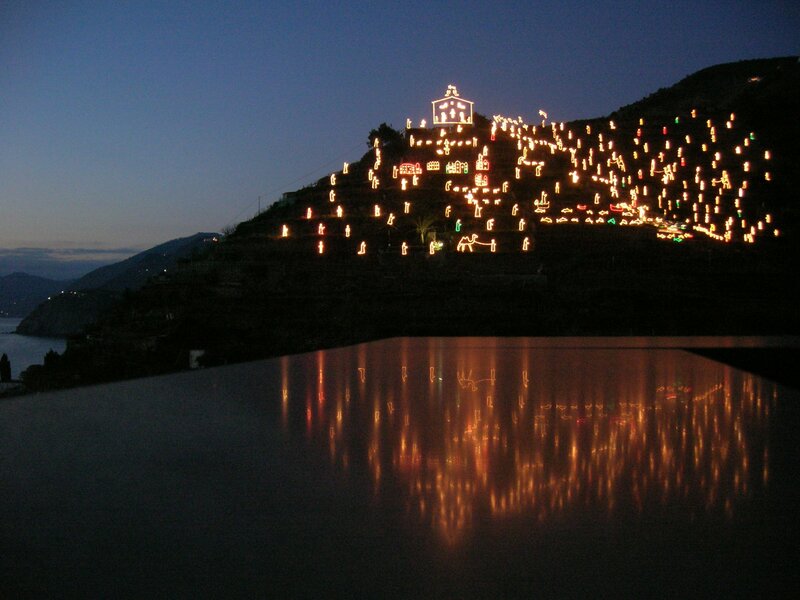 At last, Presepe sparkled like a rainbow at Christmas 2007 and was immediately added to the Guinness World Records. 6 miles of electric cables, 15,000 fires, 300 figures at full-scale which were made of the processed or unused materials were spent for implementation of this project. Since 2008, Presepe is also environmentally safe. Photovoltaic factory was built especially for it and this factory supplies electricity to maintain it, by the way, and its consumption in the last mountain was 13.440 kWh / year. 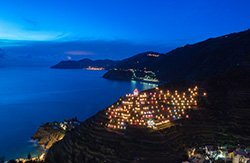 Search hotels in Manarola (or other nearby cities such as Levanto and La Spezia) using the built-in widgets.